The Jaguar bridge saw shown here can be operated manually or programmed to cut a series of specific lengths and depths. Our Saw Operators are very creative and efficient. 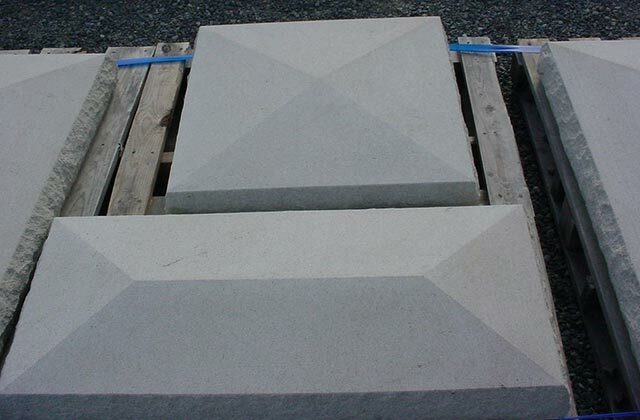 These Wilkeson Sandstone custom caps were cut on the Jaguar saw. Once the specifications for the cap shape were defined, our fabrication associates created a computerized drawing depicting the profile for the caps. 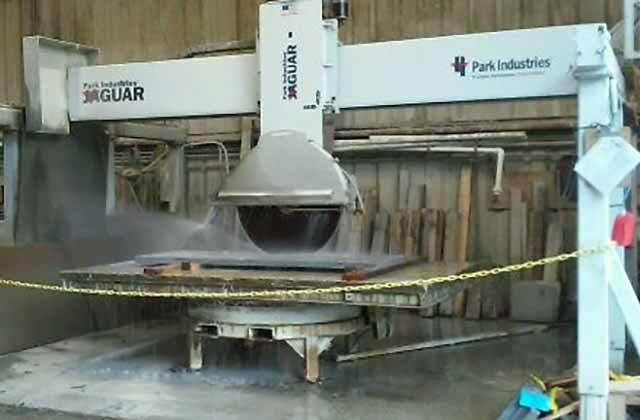 The Jaguar saw was then programed and the stone cut. After cutting, the edge treatment (rock facing for these caps) is added.